The co-op horror genre is nothing new. 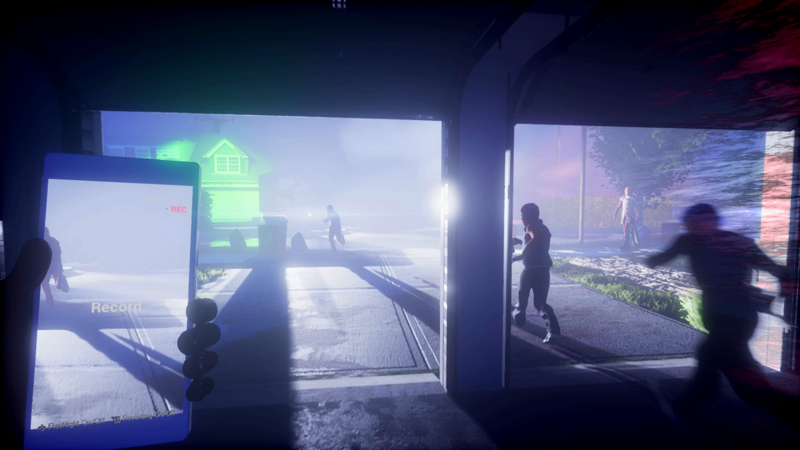 Games like Left 4 Dead, or the more recent Friday the 13th: The Game, have left their mark and inspired studios to experiment with this genre even further. Drawing on the studio members’ experiences from working on games like BioShock, BioShock: Infinite, and Thief, Question Games hopes to push the genre in new directions with new mechanics and some fresh ideas with The Blackout Club. Currently in Early Access, The Blackout Club is a first-person co-op horror game centered around a group of teenage friends investigating a monstrous secret beneath the surface of their small town. Kids are going missing, the adults aren’t listening, and a dark evil is swallowing the town whole. 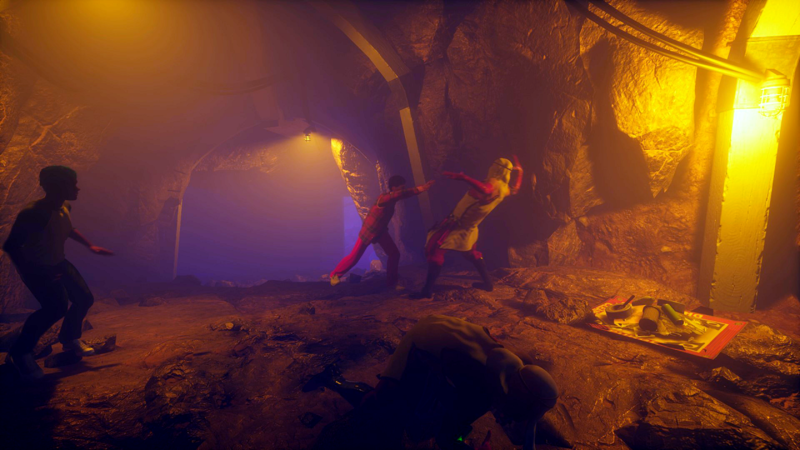 The game forces players to be stealthy, use distractions and teamwork while gathering evidence to ultimately save their town. They must do all of this while avoiding the mysterious Angel, a sinister enemy haunting them at every turn. We had a chance to chat with Questions Games’ co-founder Jordan Thomas about what makes The Blackout Club tick, some innovative mechanics that make the game truly unique, and how Unreal Engine 4 helped them create the haunting labyrinth of dark tunnels that players will have to descend into if they want to save their town. Question Games came together in 2013 and Blackout Club is the second game the studio has released. Can you tell us a little bit about how you came together and why you decided to pursue indie development? Sure! 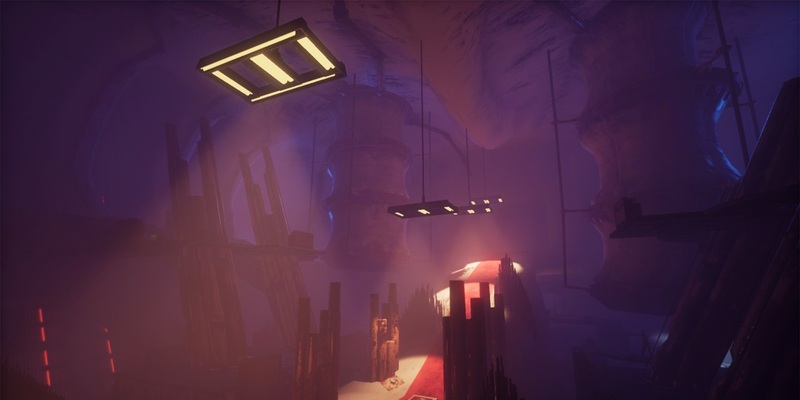 So, Stephen Alexander and I had collaborated closely on the horror-oriented introduction level in the original Bioshock, and many scenes in a surreal stage of a game called Fort Frolic, as well. It was a very dorky mutual-admiration society. First, I was blown away by his work on BioShock by the time I arrived to help. It sometimes feels like he can do anything, artistically, with the right raw materials. But a while before that, I had pushed to release our Thief 3 level design tools to the public. Stephen, who thought highly of a spooky mission I built for that game, had used them to do a really elaborate magical fortress fan mission, and I loved it. Later, we would draw on some of his ideas for that in Bioshock Infinite when we got to team up on some of the trippier sequences in that story. We both just get a bit of an impish kick out of messing with players, especially if we can do so in a way that conforms to some inner logic and, ideally, lets them retain camera control. Kain, our head of tech is our third co-owner. He and I met back just after those Thief days — we were both people who were infected with strange ideas and found kindred spirits in each other. It took us years to finally ship another game together — our debut indie game at Question. It was very meta and very niche, kind of all about the game-development experience. Kain came on midway through and really saved our bacon. But The Blackout Club is the first project that all three of us were all-in on, creatively. The team has some impressive resumes behind them with past credits including games in the BioShock series, Dishonored, and Thief: Deadly Shadows to name just a few. How did your team's past experience help the development of The Blackout Club? You're right, we cut our teeth on those games. They made us who we are. If I could highlight a strand of common DNA between them, I'd pick the ability to combine different player tools. It's like customizing a hot rod, letting you experiment with dozens of unique builds before settling on one that feels comfortable. The difference with The Blackout Club is that because it's multiplayer, there's no pause button. We have to let you tune the hot rod while hurtling down the road, pedal to the metal. That meant keeping the choices about intrinsic player-powers simpler, and pushing more of the depth into item combos you can discover as you play. For those readers who are learning about The Blackout Club for the first time, can you give us a quick rundown of what this unique, four-player co-op horror game is about? 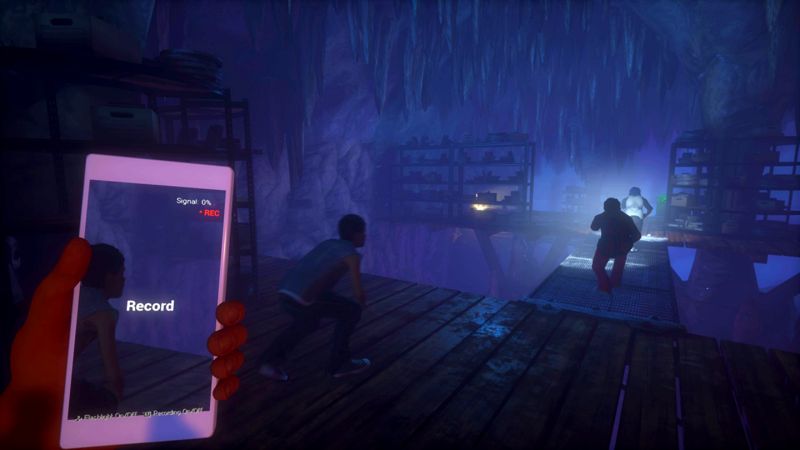 The Blackout Club is a one-to-four-player first-person co-op horror game which takes the classic “teens vs. monsters” tropes and slowly twists them into something new. No matter your generation, you probably have a favorite story of a group of young friends investigating dark secrets in their home town — and those who live through it see their friendship put to the ultimate test. The missions are procedurally generated, as are the enemy placements, lights, entrances, and other elements, leading to dynamic action that stays pretty consistently surprising. The whole town is sleepwalking, so it could be your own parents under the masks the enemies wear. And then there's the boogeyman figure who you can only see when you close your in-game eyes. The neighborhood is a single layout, we don't randomize streets or rooms because we want it to feel like a place your character really grew up. But as you level up your character, you gain access to more of it, as well as unlocking new special abilities that increase your team's chance of surviving the next round. Because it's a horror game, we also took the absurd number of powers that you'd have in one of those single-player action-RPGs we touched on above and distributed them across one to four players. Kain likes to say that those games are often “Weapon + Magic Hand,” as in a weapon in one hand and magic in the other. In this case, one of our teen protagonists might be a competent ambush brawler, but have no ability to manipulate tech. Another would be physically fragile, but sports a custom drone that can eventually even deploy tranquilizer darts, and so on. What made Unreal Engine 4 a good fit for The Blackout Club? The robust multiplayer support. We were up and running with staggering swiftness using Unreal Engine 4! So much objective work has already been done that you can start testing your more subjective features much sooner. We also had a more realistic, modern visual target in mind for The Blackout Club, so Unreal Engine was the natural choice. Finally, we just know the tools — most of our careers have been working inside that engine/editor. It is an institution for a reason. The Blackout Club combines elements of puzzle solving, strategy, and even stealth into a four-player co-op game like none other on the market. How important is teamwork in the game, and how difficult would it be for players to try and brave it alone? A little perversely, it seems to be a personality test. Most players benefit tremendously from the presence of friends — because if you get caught in the maximally-wounded state while soloing, or if the invisible boogeyman the enemies call the Angel catches you, at all, it's game over. But if you have at least one friend who is still conscious, they can rescue you up to two times. The third time, you are considered irredeemable and they just end you then and there. But humanity is the ultimate wellspring of chaos. Players are systems unto themselves, and unlike the software, they're unpredictable. If you're a person who wants to build a plan and be maximally accountable for its execution, sometimes solo play is the best way to achieve that. It seems to be a highly acquired taste, and honestly, it's scarier, but some prefer that. I've heard of some extremely unique behind-the-scenes interaction that some lucky players can come across as they play the game thanks to this tweet where a player talks about an outsider interacting within the game unexpectedly. How did the idea of this random interaction with players come about? What have reactions been like so far? I’m going to have to be ultra cryptic about this one! It's like an escape room — if you tell people how it works before they enter, you risk ruining the surprise. 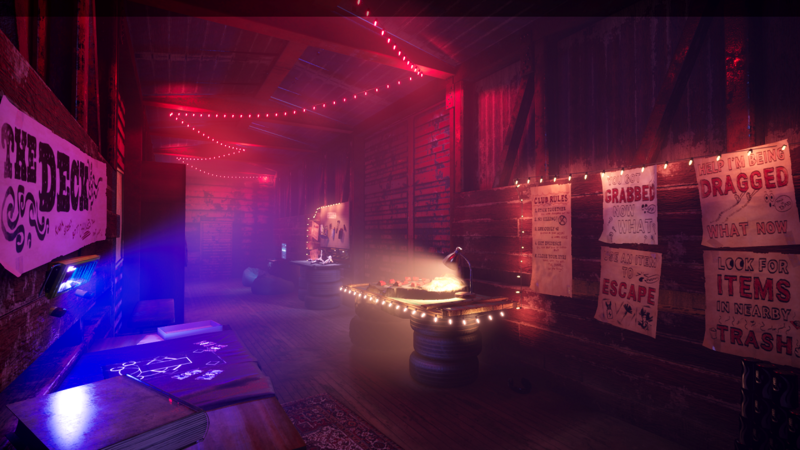 The Blackout Club is intended to serve as an occult experience machine. I've heard players compare it to what the Ouija board was in its day. The Enhanced Horror feature is a major part of that. Faith is vital to such a system, but so is doubt; ideally, the story lives entirely by word of mouth. We want players to truly own the theories. I realize I'm at risk of sounding like a dad over-selling his amateur haunted house with an extra spooky voice, but I will say this — most of the current theories about what it is, and why it exists are wrong. That's fun to watch. It’s something that you have to play for yourself, and if you do, there are things that can happen to you that no one else will ever experience, by design. We make no guarantees about it, but players have made some pretty wild claims about what they heard or saw. Some of the things they report seeing and hearing... have surprised us. If you don't mind a game paying as much attention to you as the other way around, treat Enhanced Horror like a dark stranger on the doorstep and invite it in. Can you tell us about any specific ways that Unreal Engine 4 helped streamline development for the team? What about the engine stood out to you as your most valuable tool? As we've covered a little, we've got a ton of experience with previous versions. Speaking more for myself, the biggest pleasant surprise was Blueprints. It is an unbelievably robust visual-scripting engine — in former days, we struggled with studio-internal homebrew solutions to that problem. I recommend anyone at all interested in gameplay scripting to experiment with it. Once you become fluent, you feel like a god. 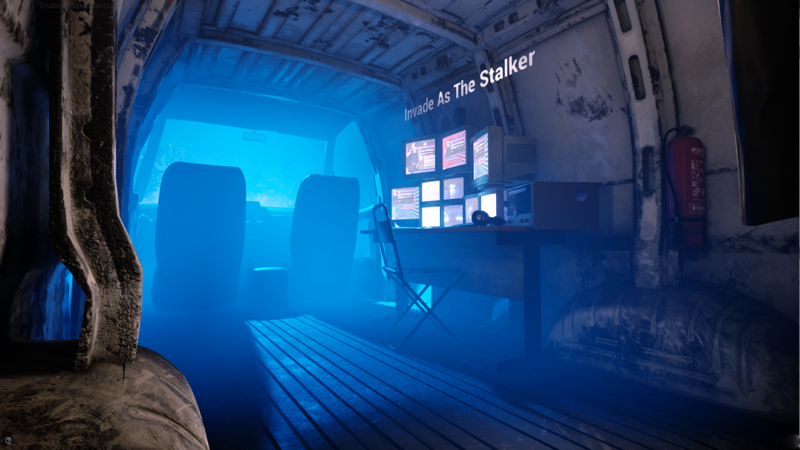 The Blackout Club is currently in Early Access and just released a big update with the "Stalker" content. What else can players look forward to in the march to 1.0? More community story-like events, for sure. Expansion of the surprises that Enhanced Horror can offer, for sure. On a more practical level, we're always shuffling in new procedural mission elements — like new cards in a CCG. They just start to appear, seamlessly, expanding the sense of replayable dynamism when we do. There's also a creepy daycare area coming up called Old Growth. If you could give one piece of valuable advice to aspiring dev teams jumping into using Unreal Engine 4 for the first time, what would it be? Tutorials are a really valuable tool, but there's no substitute for having actual creative goals that are project-specific. The mind tends not to absorb anything that doesn't have actionable, "tactica"' value. Try to break your game down into very simple distilled prototypes, so that you can learn all of Unreal's features with a clear vision in mind. That feeling of progress will become an addictive loop of its own in a way that completing a tutorial never truly can. Where are all the places people can keep up with Question Games and The Blackout Club? Our Discord community is amazing. You can join the Discord community at the following: http://www.discord.gg/theblackoutclub. They're able to offer more direct answers to what is known about the Enhanced Horror elements because those answers are fan-owned and transmitted virally, as they were meant to be. You can also find us on Twitter at @theblackoutclub.